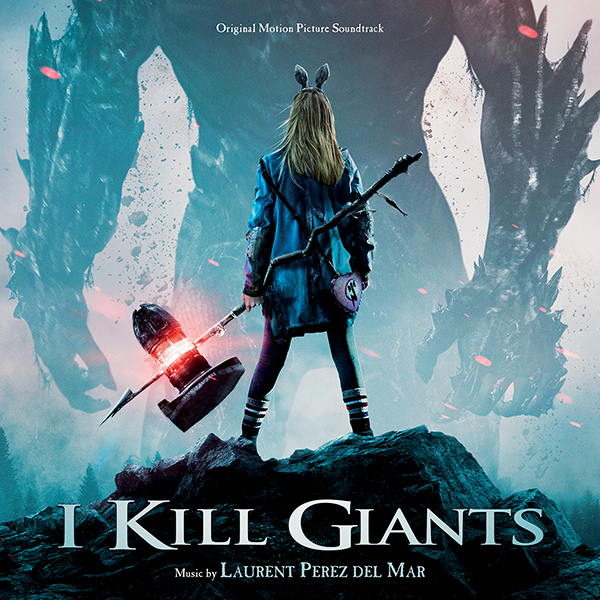 Varèse Sarabande will release the I KILL GIANTS – Original Motion Picture Soundtrack digitally and on CD March 30, 2018. The album features original score composed by Laurent Perez del Mar (The Red Turtle), the original song “Something So Strong” performed by Rasmus Walter and the exclusive and unreleased track London Grammar’s “Under The Stars”. Laurent Perez del Mar is critically acclaimed for his work on the score for the Academy Award®-nominated feature film The Red Turtle, produced by the famous studios Ghibli. His score has earned numerous accolades, including an award from the prestigious International Films Music Critics Association in 2017, and nominations by the Annie Awards and from the Prix Lumières in the best music category. He became a member of the Academy of Motion Picture Arts and Science in 2017. Perez del Mar is as comfortable composing for animated films (he wrote scores for Zarafa, nominated for the César in 2012 and Wolfy, The Incredible Secret which won the César in 2014), as he is for feature films (My Son by Christian Carion, featuring Guillaume Canet and Melanie Laurent, Antigang featuring Jean Reno, Carole Matthieu featuring Isabelle Adjani, and Mrs. Mills by Sophie Marceau).